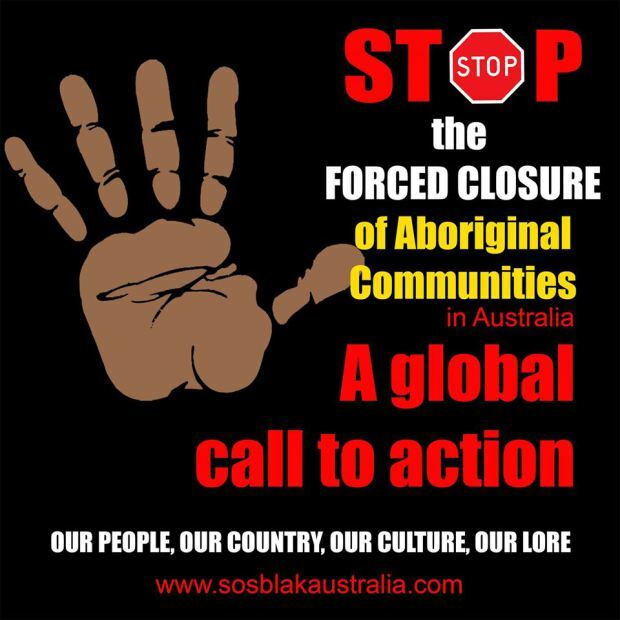 The Redfern Aboriginal Tent Embassy, SOSBlakAustralia Sydney and associates have met and collectively decided to Boycott the People’s Climate March in Sydney being held at the Domain at 1pm on Sunday the 29th of November. Our reasons for this boycott are as follows. The group Nuclear For Climate Change has been allowed to take part in the People’s Climate March in Sydney. This is a complete contradiction to the climate change movement. Also during the consultation with Aboriginal community members and Elders it was expressed on more than one occasion in more than one meeting that the Aboriginal community does not support ANY nuclear movement and would not be involved or aligned with such groups. There are currently plans to dump nuclear waste and mine uranium from traditional lands which also is connected to forced community closures. We do however strongly support the Anti Nuclear Movement! Prior to the current climate change rally there has never been any consultation or attempt to involve or create a genuine and ongoing relationship with the local Aboriginal communities or consult with Elders to ensure input and show true solidarity with our movement. This in itself has caused a rift previously between environmental groups and the Aboriginal movement, with environmental organisations often not taking into account traditional law, culture, sites, our obvious and historical relationship with mother earth and sustainable living with the environment, hunting practices etc. 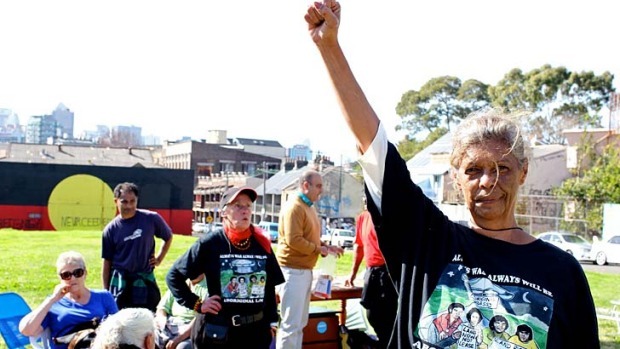 For the current climate change rally, PCM Sydney held a number of meetings with representatives from a number of Aboriginal communities and Elders. At these meetings issues were raised about previous lack of consultation with Aboriginal community and Elders. Advice was given as to what actions should be taken to ensure that these issues were addressed, as well as advice on what involvement the community should have in the People’s Climate March Sydney rally to ensure that it showed true solidarity and is not tokenistic. During these consultation meetings it was agreed that the Aboriginal community and Elders would lead the march on the day and that Aunt Jenny Munro be given time on the stage to speak; the march would start with Aboriginal dancers and smoking ceremony and then be lead by the community with Elders and children at the front with speeches by the community members along the way. People’s Climate March Sydney representatives agreed to these terms. After further consultation the People’s Climate March Sydney continued to ignore advice and proved how unrepresented and tokenistically used Aboriginal people’s are within the climate movement. The People’s Climate March Sydney continued to make it difficult for Aboriginal and Torres Strait Islander people’s voices to be heard by not allowing us speaking time and limiting Elder Aunty Jenny Munro to minutes worth of speaking time at the rally, as well as putting a 100 piece samba band behind our block, which would drown our voices for the entirety of the march. We also had to argue again to lead the march as PCM attempted to renig and put other groups in front. After meeting today The Redfern Aboriginal Tent Embassy, SOSBlakAustralia Sydney and associates decided to withdraw support for the PCM rally and to not be involved in the march. The consultation process was tokenistic and just to gain credibility by having some Aboriginal faces involved whist still continuing to assist in the silencing of the already ignored Aboriginal community and Elders. Aunt Jenny Munro and Uncle Ken Canning both formally withdraw permission to use their videos or images for this People’s Climate March Australia.The Redfern Aboriginal Tent Embassy, SOSBlakAustralia Sydney and associates formally withdraw support for this rally and groups, any future working together would need to guarantee and ensure that our voices be listened to and the process be genuine and not tokenistic. We also request that People’s Climate March Australia, it’s partners, associations and organisations involved to not speak for our people nor campaign for our issues without proper consultation and actual involvement from the Aboriginal community.